Relax and Disconnect with Jungle Cruises and Luxury Accommodation. This exclusive hotel is located along the main water channel in the Tortuguero National Park, on the North Caribbean coast of Costa Rica. The comfortable, extraordinarily tranquil atmosphere of the boutique Manatus Hotel will put you entirely at ease the moment you walk in, while its inspiring design will put you in touch with the surrounding wildlife. Traveling to Tortuguero is like being on a non-stop jungle safari cruise. To get there, you must travel more than an hour by boat to the hotel dock. You will be greeted with fresh fruit cocktails, at which point you might realize that despite the wilderness all around you, this isn’t exactly roughing it. Each of the rooms includes luxurious finishings, cable TV, a private terrace, two queen-size beds, and private outdoor/indoor bathroom. The boutique resort also boasts the only a la carte restaurant, which serves meals three times a day as part of your meal-inclusive stay. The restaurant is open-air, offering views of the canal, and each meal has several eclectic Caribbean-fusion menu options, always tastefully presented. A full-service bar is just next to the restaurant, serving reasonably priced drinks, with a good selection of beers and wine. 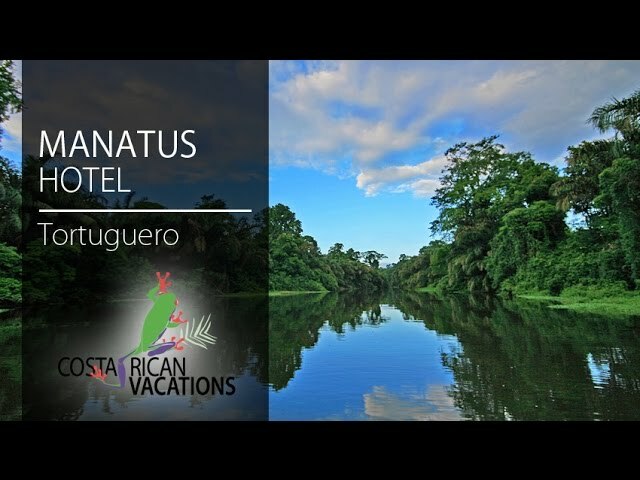 The hotel’s specialist nature guides will show you the small colorful town of Tortuguero, sea turtle nesting grounds, and the interwoven canals of the region, as well as the dry portion of the national park, where you will see vipers, monkeys, and more! This is a nature lover’s dream that should not be missed. Take time to enjoy a spa treatment, lounge by the swimming pool, or explore the artistic gardens and private natural reserve. Included in your stay are private boat excursions, tours, and activities. The Tortuguero region offers a spectacular array of fauna including more than 300 types of birds, 57 amphibian species, 111 reptiles including three species of marine turtles, and 60 types of mammals. 13 of the 16 endangered species living in Costa Rica can be spotted in Tortuguero—including manatees, jaguars, tapirs, “tigrillos,” pumas, and otters.